Three eggs lie on a sackcloth in a wicker basket. Easter basket with eggs on white background. 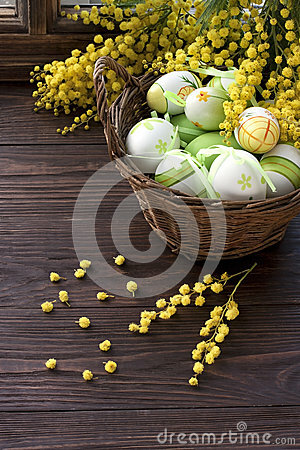 Tradition of Easter, colorful eggs, lamb, wicker basket.